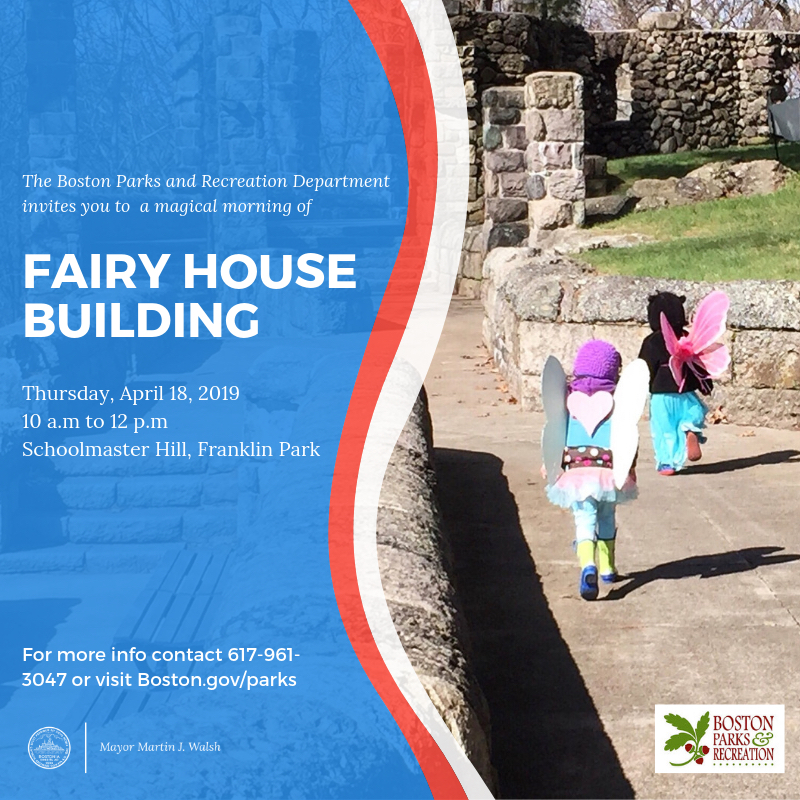 In order to welcome the local elf and fairy population, the Boston Parks and Recreation Department is hosting their sixth annual Fairy House Building Festival on Thursday, April 18, from 10 a.m. to 12 noon at Schoolmaster Hill in Franklin Park. Children are encouraged to wear their favorite fairy and elf costumes to encourage their tiny guests to alight in Franklin Park. Natural materials will be provided, but youngsters are welcome to explore their surroundings to find natural elements such as sticks, stones, and leaves to adorn their fairy houses.